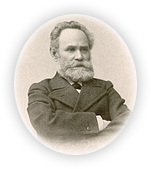 Pavlov's Museum is a center of research, education and culture which remembers the great scientist and the first Russian Nobel prize winner academician I. P. Pavlov. There are the atmosphere of Pavlov’s family. The Museum renders everyone a wide range of tourist services.